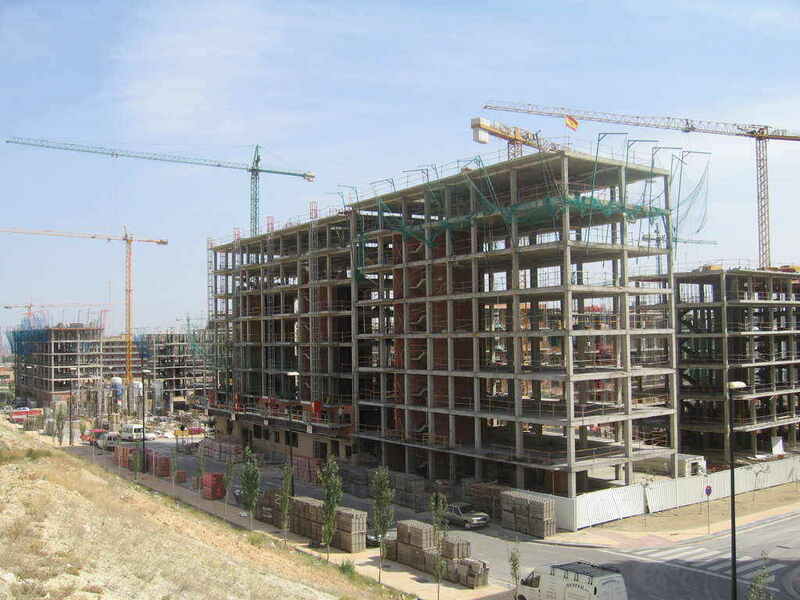 Spanish construction activity will continue to fall this year, but it will reach a bottom and start to recover by 2015, according to a new study. But any real growth in construction will be small until 2016, according to the Euroconstruct study by the Technological Institute of Construction of Catalonia (ITec). The study predicts building activity will drop 5 per cent in 2014 before showing a slight uptick of 0.9 per cent in 2015. But the study predicts growth of 3.4 per cent for 2016, led by the return of residential construction. Home building is expected to grow by 5 per cent in 2015 and 8 per cent in 2016, according to ITec. From 2007 to 2013 home building dropped by 83 per cent, according to the group’s data. While any sign of a rebound is positive news for the industry, it’s worth noting that the projections for Spain are still not expected to match the recovery in Europe over the next five years. “The figures show a sector touching bottom in a critical state, then stagnating at minimum production levels,” said Josep Fontana of ITeC at a press conference to introduce the report. There are also many landmines that could stall any recovery. If home prices continue to fall and Sareb, Spain’s bad bank, floods the market with low-priced repossessed homes, the residential construction industry could continue to flounder, Fontana said. Non-residential construction will be slower to rebound. Commercial building will fall 6.2 per cent in 2014 and another 0.3 per cent in 2015, before registering an increase of 3 per cent in 2016. The government’s struggle with a deficit and the lack of public works projects in the pipeline will continue to inhibit non-residential construction, the agency says. 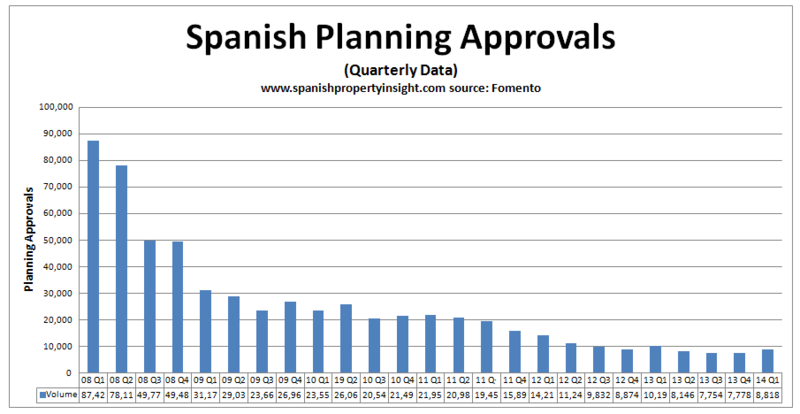 The ITec data comes on the heels of a recent report by Spain’s College of Technical Architects, which showed planning approvals for the first quarter of 2014 were down 13 per cent from the same period of 2013, falling from 10,191 to 8,818. It was the lowest level for the first quarter of the year since the college began tracking the market, and 96 per cent below the same period of 2006, when there were 201,110 in the same period. But the college’s data did show an increase for planning approvals in March alone, which reached 3,508, a 34 per cent increase from the same month a year earlier.